Are you looking for a useful html5 digital magazine creator with excellent quality and reasonable price? Would you like to have wonderful reading experience? 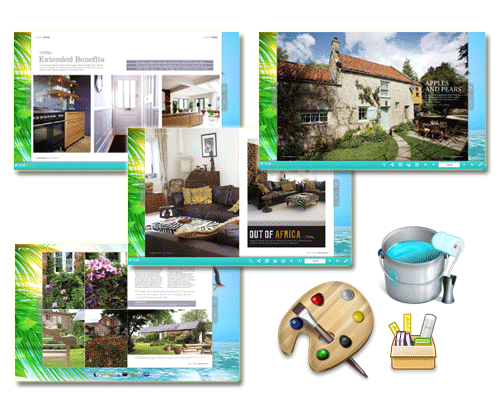 Do you want to add some animated text and image on the digital magazine to leave a deep impression to your reader? If your answer is yes, then you should take PUB HTML5 into consideration. 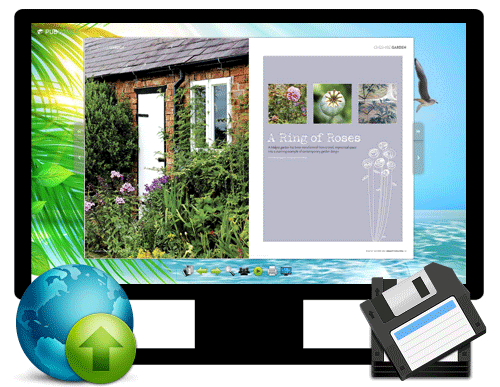 PUB HTML5, a helpful html5 digital magazines creator to convert PDF, MS Office and images to html5 digital magazine with ease. For one thing, users are able to design the layout of digital magazine; for another, the multimedia contents and animated objects can be inserted to make E-Magazine impressive. In addition, the digital publication can be published online and offline with simple steps. Here let us know more outstanding features of PUB HTML5. PUB HTML5 - the free online magazine creator, is optimized for search engines, and it is a free online Digital Magazine Creator , I can find all that I need on Google. I was actually able to customize the software to what I wanted, with my logo on the information. There are options to change the background colors too. I was able to embed it into my Facebook account and on my private website. Since one of the options is to add a video or sound bite into it, I did. It is a one of kind tool that gives me a lot of leeway, and I recommend it to other people that are looking for something that is free and easy to use. I know that it benefited myself in so many ways, and it will help others too. 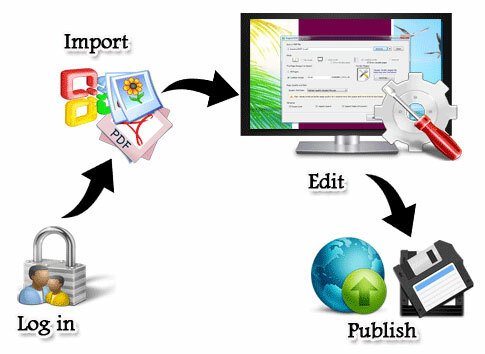 There are 4 steps to convert PDF to e-magazine. Firstly, log in pubhtml5; secondly, import PDF, MS Office and images to digital magazine; thirdly, edit the e-magazine with editor tool; finally, publish it online or offline. Any computer, iPad, iPhone, Android phone readers can browse the flash&HTML5 page flipping e-magazines online with comfortable reading experience. PUB HTML5 provides 13 templates for users to choose so far. Once you set up the template and theme settings, it will keep while you are applying templates. Anyway, it is easy to apply. What you need to do is to select a template or theme and double click on it to apply. In addition, more new impressive templates are coming soon. There is a moment that you just want to publish several different types of flip books, and then you might require different designs for them. Or do you very much want to design and publish a wonderful flash flip book with some customized features such as user's design talent, color assortment, background and so on. 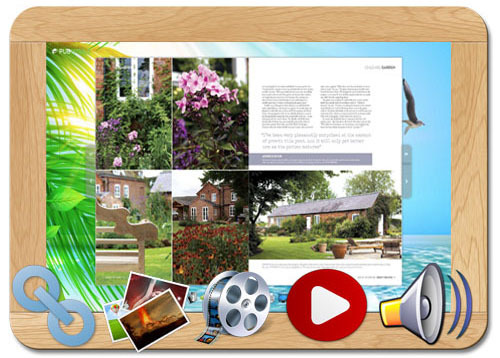 When it comes to designing flipbook template, here we would like to share you with one such powerful tool - PUB HTML5 Digital Magazine Creator that excellently serve to offer built-in templates for free and modify default settings depending on you own personal style so as to design the stunning flipbooks. As long as you finish editing, then you can move to publish html5 digital magazine. You can choose to upload digital magazine to cloud server directly and choose a format to publish the e-magazine to local. 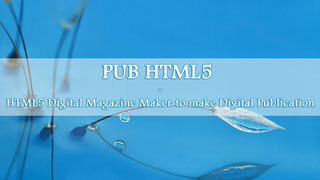 By the way, pub html5 also provide online conversion to create online digital magazine easily.